Prefects at St Vincent’s Castleknock College are sixth year students who have been given both the honour and the responsibility to take on various different roles and duties in college life. Prefects are elected by a combined vote of staff, the headmaster and, importantly, their peers. A prefect is someone who has seen their work, and endeavour to uphold the College’s Vincentian values across a variety of areas, rewarded and recognised in their final year. The primary task of a prefect is to act as a role model, to uphold the values of the Vincentian ethos in their everyday college life and to show generosity and care for all. This can be something as simple as stopping for a chat with a younger student along the corridors or helping a teacher with a class. The prefects are in many ways responsible for “carrying the torch” of the Vincentian ethos and spreading its flame among the rest of the student body. 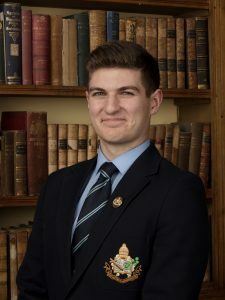 For this reason, prefects are part of the senior school mentor-team which meets with students in 1st year to simply converse and chat, encouraging a friendly and pastoral environment throughout the college. Prefects also meet once a week to discuss and suggest ways to improve college life in general. Along with the Student Council, Ember Team and SVP conferences, Prefects have distinctive and definite roles so that they, like the many that have gone before them, can pass on the message of St Vincent de Paul in a friendly, experiential way for years to come.